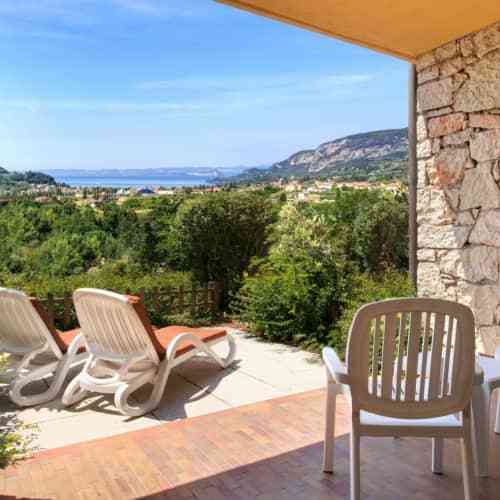 The old fishing village of Garda on the eastern lake shore is surrounded by terraced vineyards, olive groves and cypress trees. Chic boutiques, open-air cafés and smart restaurants line the traffic-free promenade and on market days there are stalls selling everything from leather goods to exotic liqueurs. 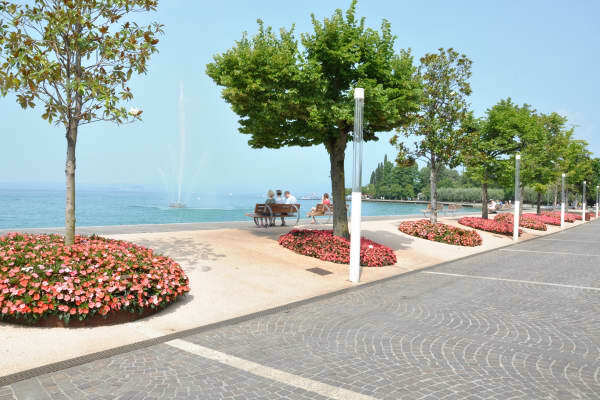 This is the heart of the town, where the shops, ice cream parlours, hotels and bars spill out on to the pavement with waiters rushing across the street to serve pizzas and pasta to hungry visitors enjoying the atmosphere and the amazing views. The harbour buzzes with boats and ferries bringing people between this and other resorts across the lake. 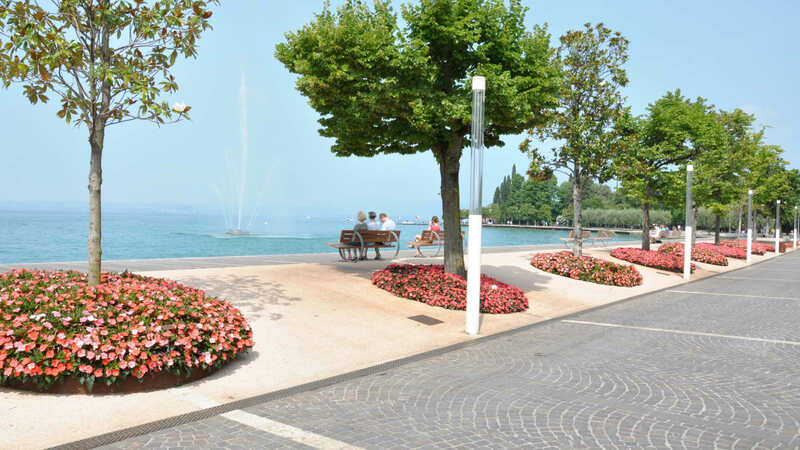 There is also a pebble beach which is perfect for sunbathing and, as the landscape is flat, it is very popular with walkers and cyclists who often take the lakeside path to the neighbouring resort of Bardolino. As dusk settles, the town lights up with the sound of live music and conversation as people stroll along the streets and enjoy the atmosphere of the evening promenade. 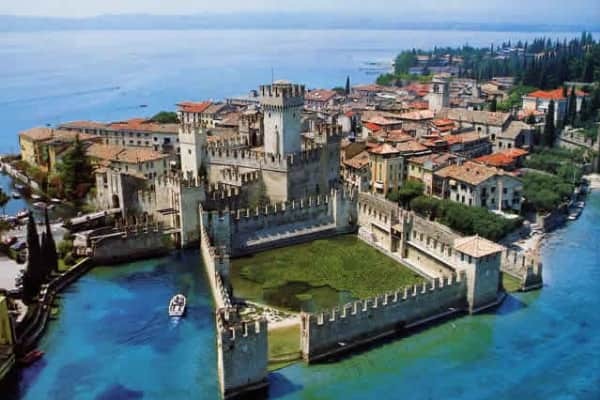 Garda is a great place to enjoy a relaxing holiday and it provides a perfect base from which to visit nearby attractions. 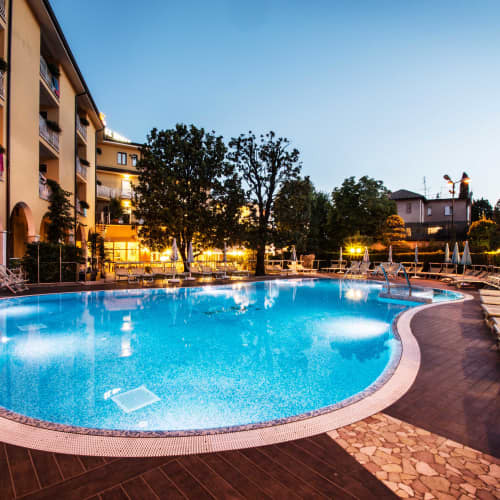 It is not far from the theme parks of Gardaland, Movieland and Aqua Paradise Park, all ideal for a special family day out. 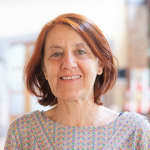 Anna is a very experienced resort manager, she was brought up just outside Bardolino so has a special passion for the area. She says "I have the pleasure to call this area my home". Anna enjoys the outdoors and highly recommends lake shore walks and walking up into the hills to enjoy the peace and tranquility. 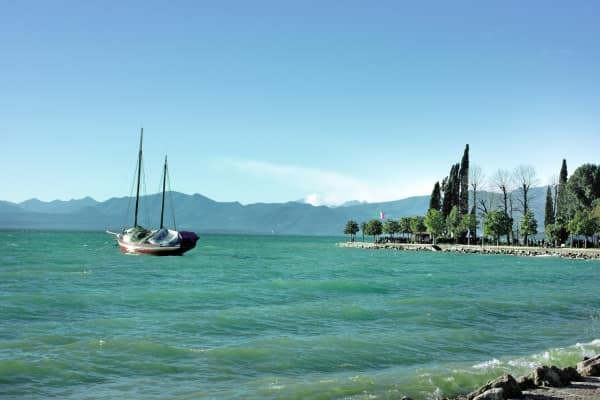 In Bardolino it is simply sit and watch the world go by for Anna, she loves the sheer variety of restaurants and wine bars. Her excursion of choice is Bolzano Renon, she says "it’s only a short transfer to enjoy absolutely breathtaking views of the Dolomites". Home to Shakespeare's Romeo & Juliet, Verona is de ned by its sense of romance and drama. At the heart of the city lies centuries of history and art. Experience a full day excursion to this dazzling city, and see some of its most impressive sights. Take a day trip by coach to Verona, where a local guide will show you the treasures of this historic city. 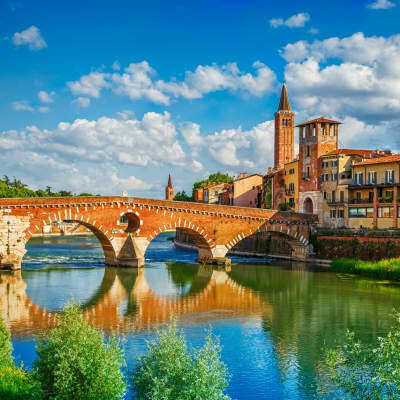 Spend the morning exploring the attractions that Verona has to offer, and then onto an afternoon of shopping in one of the most elegant streets in Italy, the Via Mazzini. Immerse yourself in art, history and culture in this splendid city. 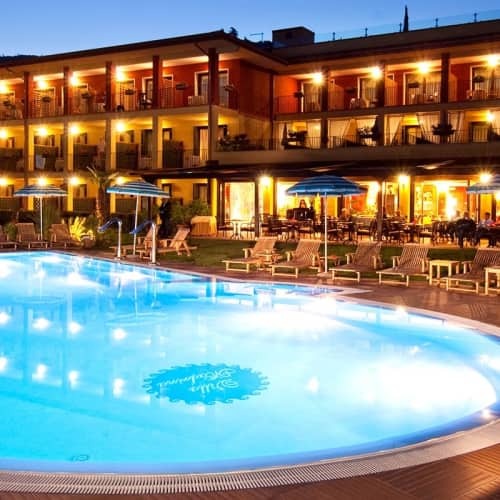 Its Roman ruins and medieval architecture are guaranteed to impress you! See the magnificent Arena di Verona, the famous Roman amphitheatre that survived a 12th-century earthquake to later become the city's legendary open-air opera house. 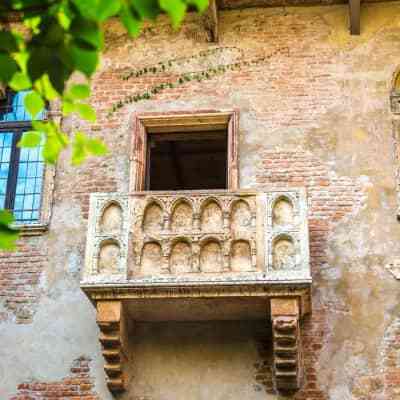 Visit Casa di Giulietta, where you can see the romantic balcony on which Shakespeare's Juliet is said to have pined for her lover, Romeo. Experience the beautiful Piazza dei Signori, the beautiful 'Square of Lords'. This is the former centre of power in Verona. Magnificent buildings surround the square, which is dominated by the statue of the Italian poet, Dante Alighieri. 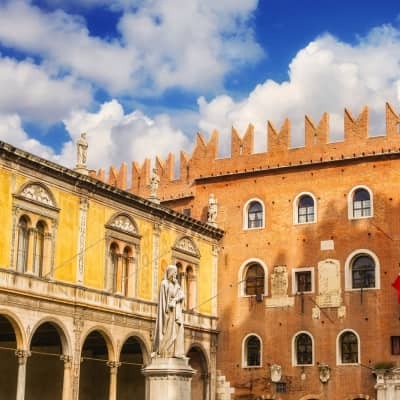 Visit the Piazza delle Erbe, which has remained the vibrant heart of Verona since Roman times. Grandiose buildings, elegant restaurants and market stalls make up this beautiful square. Afterwards you can spend the remainder of the afternoon shopping on the prestigious Via Mazzini, lined with extravagant shops and designer boutiques. Shoppers will find everything their hearts could desire, from Gucci through to leather goods from the magnificent Furla. 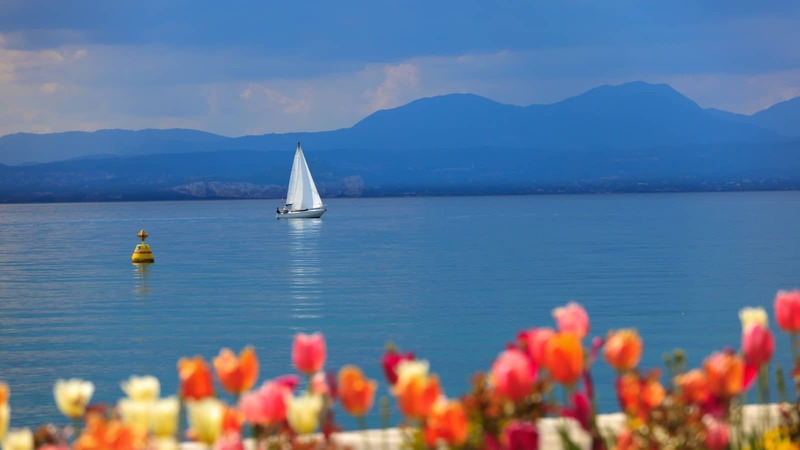 You will be back at your hotel in the afternoon, in time for a refreshing gelato while strolling around the coast. This full day excursion is a must-do during your trip. 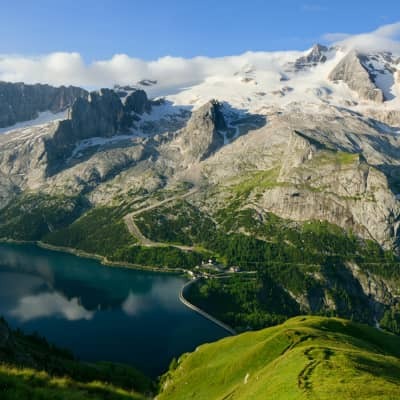 Discover the beauty of the most famous mountains in Europe with this wonderful excursion. The Dolomites feature some of the most beautiful mountain landscapes, with its vertical walls, sheer cliffs, and deep & long valleys. This is a definite must-see! 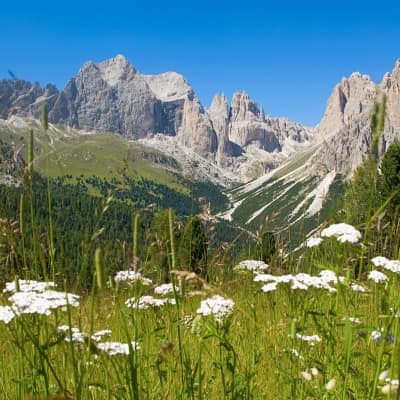 This wonderful trip will start early in the morning, as the coach picks you up from the meeting point and comfortably takes you, along with the tour leader, around the majestic Dolomite Mountains. A fun ski resort during the winter and covered in green life during the summer, admire the breathtaking views as you traverse the Dolomites. 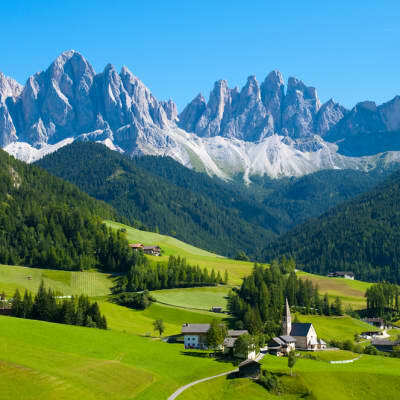 First stopping by South Tyrol, a region immersed in diversity, marvel at the beauty in the contrasting landscape, between Mediterranean green fields and imposing Alpine peaks. 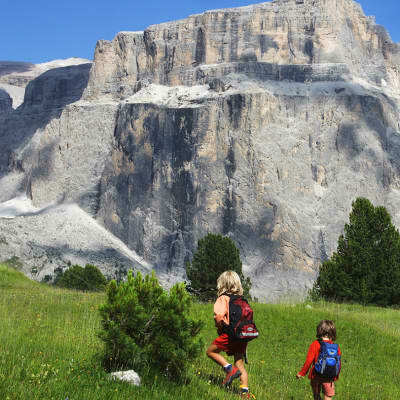 Proceed to the Val di Fiemme and the main town that lies there, Cavalese, where the Avisio river gently stretches, reflecting the picture-postcard Alpine landscape of high peaks and glamorous tree-clad mountain slopes. 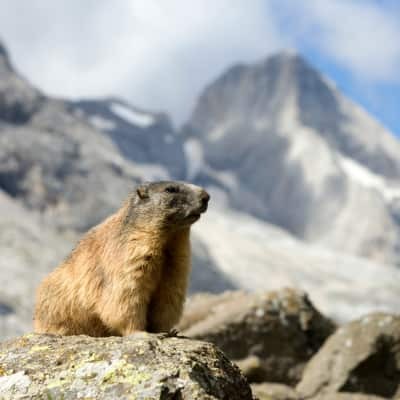 The tour continues towards the Pordoi Pass, one of the most beautiful mountain passes in the world. Whilst here, indulge in a hearty traditional Alpine meal with a view. 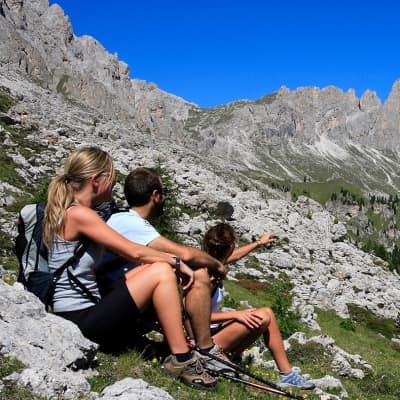 If you wish, you can also take the cable car ascent to 2,800m, to the most amazing natural terrace that overlooks the Dolomites landscape. 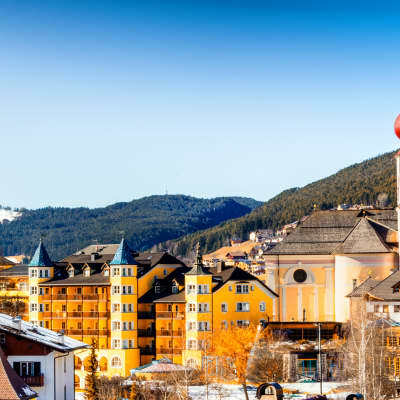 As we return, after lunch, enjoy the fascinating views of the idyllic Ortisei, in Val Gardena, and walk around the lovely pedestrian area lined up with cafés. Discover the unique native architecture and the traditional woodcarving shops that characterise this town. 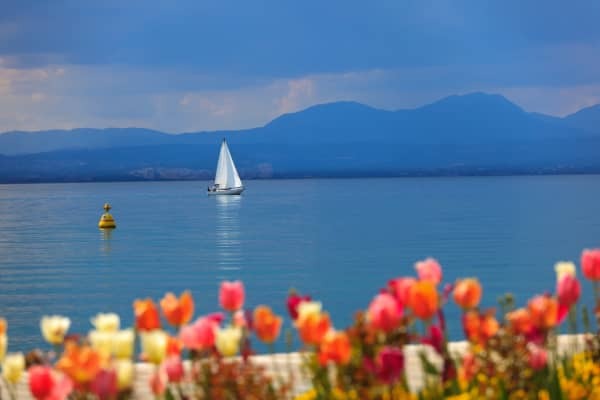 You will arrive in Lake Garda in time to marvel at the dazzling sunset. The most romantic city in the world, the floating city of Venice is one of epic grandeur. 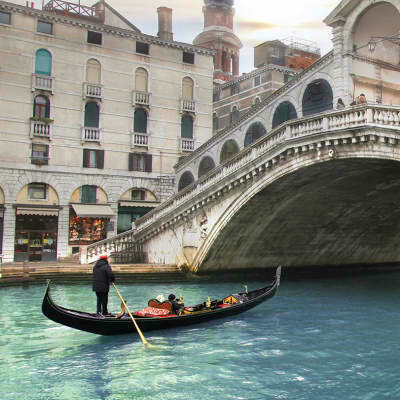 Take a boat ride down the Grand Canal and gaze upon the glorious Venetian architecture lining its banks. Built on a lagoon, this city will surely amaze you. Take a trip to one of the the most romantic cities in the world, the floating city of Venice. A local guide will be with you to ensure that you see the very best that this area has to offer and your private boat will get you there. 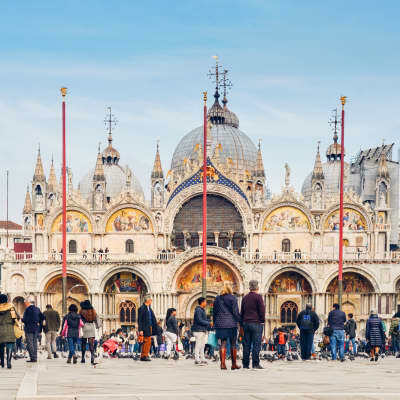 Visit St. Mark’s Square where you will see the iconic St. Mark’s Cathedral, take a trip to the Bridge of Sighs and the Rialto bridge and drink in the unique atmosphere that Venice has. Venice has been attracting poets and artists for many years. It is one of Italy’s finest cities with a truly inspiring atmosphere. 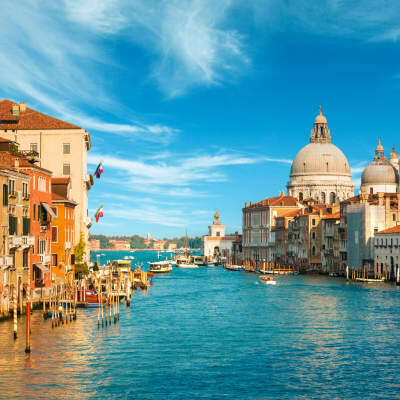 The famous Grand Canal is lined with impressive buildings and beautiful architecture for you to take in during this wonderful tour. In the afternoon you will have some free time to explore the area at your own pace. We recommend taking it easy and relaxing in St. Mark’s Square with a glass of Prosecco and taking in the city’s charming atmosphere. 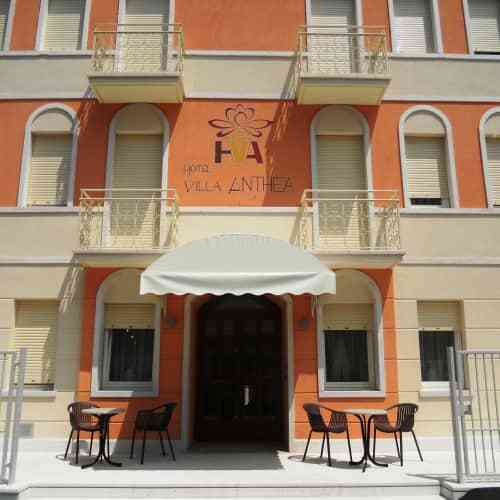 You will have a choice of great restaurants here too you fancy trying some Venetian cuisine. 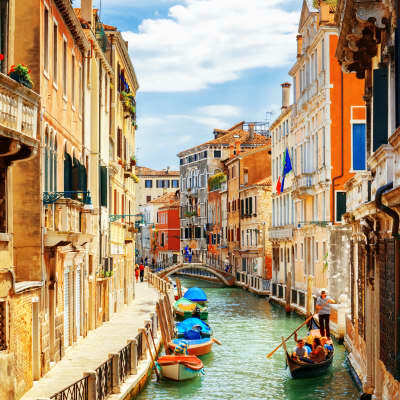 Having seen the sights and enjoyed the atmosphere of Venice, your private boat will return you to your bus which will transport you back to your resort. 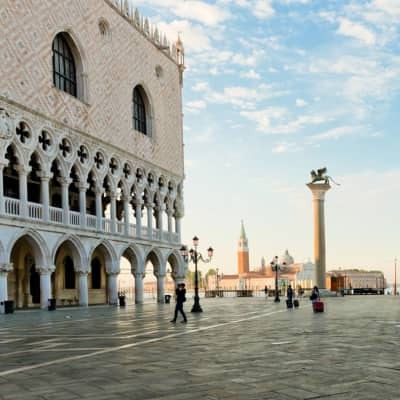 Please note: A Venice visitors tax of €3 per person is required and is payable locally. 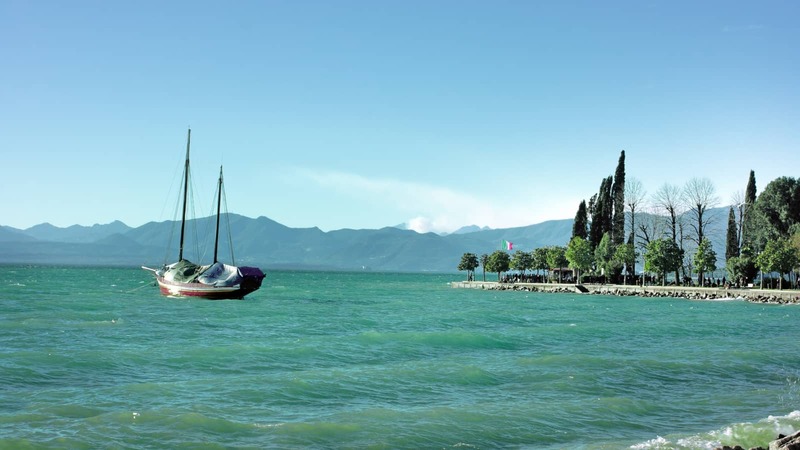 Taste the wonderful wine of the Lake Garda region as you visit an award-winning winery built on tradition, passed from generation to generation. This half-day excursion is the perfect way to spend an authentic Italian afternoon in this area. You will be picked up at the meeting point right after lunch and comfortably transferred to the beautiful Maso Roveri vineyards. For those who love their wine, this is an absolute must but you don’t have to be an expert to enjoy this authentic Italian experience. The vineyard in itself is quite the spectacle to behold and creates the perfect backdrop for a day of learning about the wine making process as well as sampling some of the vineyards delicious produce. 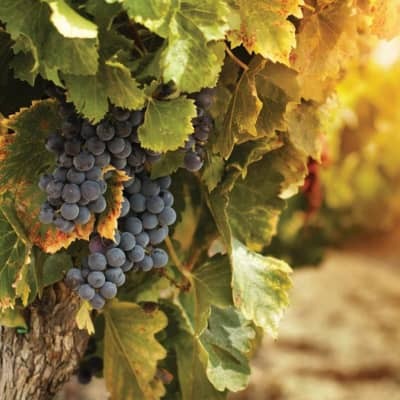 After you have been enlightened by the methods and techniques that are used to make delicious Italian wines, with their own rich and distinct flavours, you will be invited to sample some of the vineyard’s very own produce. This will be accompanied by some traditional snacks to compliment and bring out the beautiful flavours of the wine itself. Afterwards, the coach will return you to your drop off point just in time to enjoy the Lake Garda sunshine. 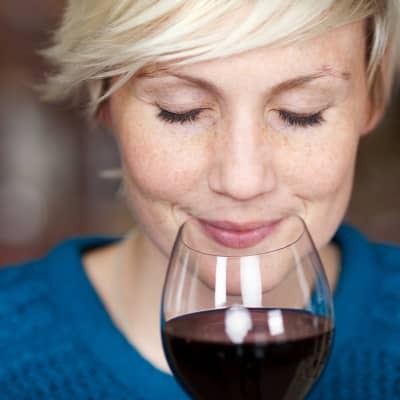 Perhaps the perfect time to try out some more of the region’s finest wine? 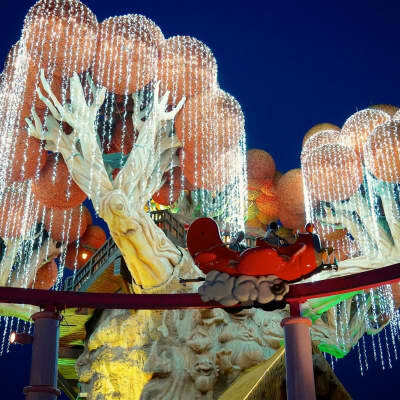 Gardaland is the biggest and best theme park in Italy and the third largest in Europe and has thrills, spills, adventures and fun in spades. 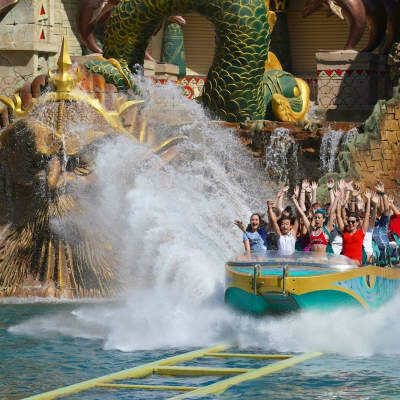 With something for every age, a trip to Gardaland will without a doubt be the highlight of the kids’ trip! 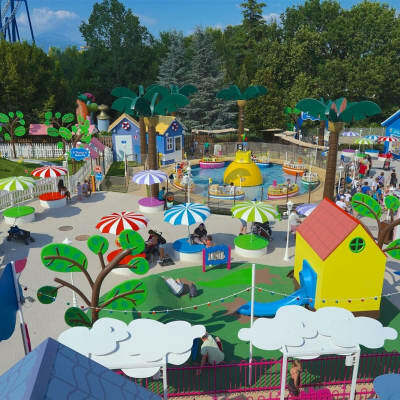 Gardaland Adventure Park will appeal to families of all ages. There are themed lands and enough fantasy, adventure and adrenaline pumping rides to ensure that everyone has the time of their lives here. 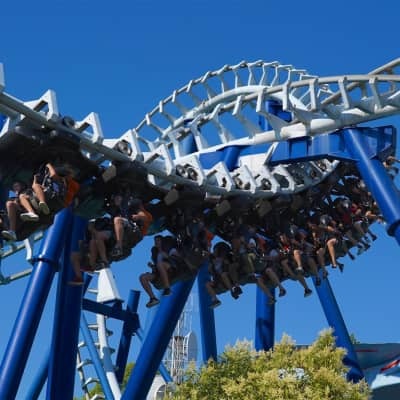 If it’s thrills and heart pumping spills you’re after, try out the Blue Tornado, Magic Mountain and Raptor roller coasters and if you’re feeling very brave, try Oblivion:The Black Hole. If you wish to take to the water, try the Jungle Rapids or the Colorado log flume. For the younger tots, there is plenty to keep them entertained here too. 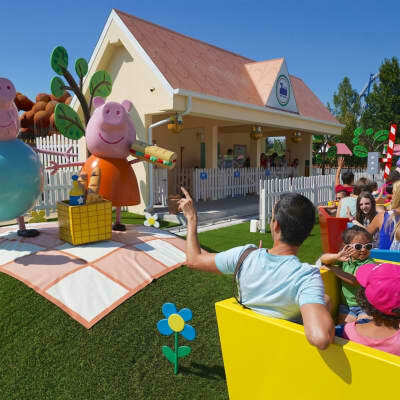 The brand new Peppa Pig Land is sure to keep them happy. 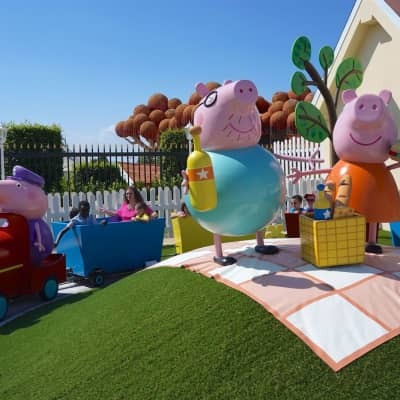 Visit Peppa’s famous house, sail on the exciting pirate ship with Peppa, or fly up to the clouds in colourful balloons. This will, for sure be the highlight of the little ones trips. If the family needs a change of pace, there is also a Sea Life Aquarium here, where you can explore deep under the water in the Shark Tunnels and discover amazing fish, jellyfish and seahorses. 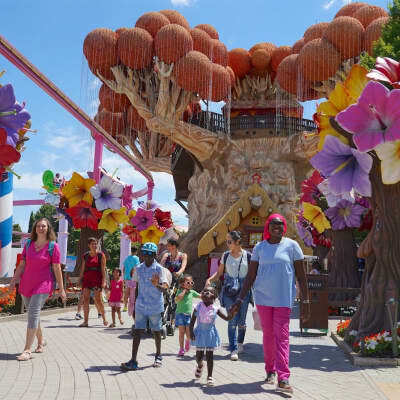 Gardaland also offers a personalised, tailor made service to guests with special needs such as visual limitations, reduced mobility, autism and down syndrome. It is designed specifically to make sure that people with disabilities can have the most fun experience, with a customised itinerary based on their specific needs. Get there early! You’re going to want as much time as possible! Visit the Gardaland website for more details. There is something magical about the Verona Opera that appeals to everyone. Make the most of this incredible experience and witness Carmina Burana is a mesmerising and magical setting. This is something you don’t want to miss during your stay. This is an incredible day out that we thoroughly recommend, for those who love opera and for those who know a little less about it, this outing will appeal to all audiences and provides an authentic Italian experience, not to be missed. 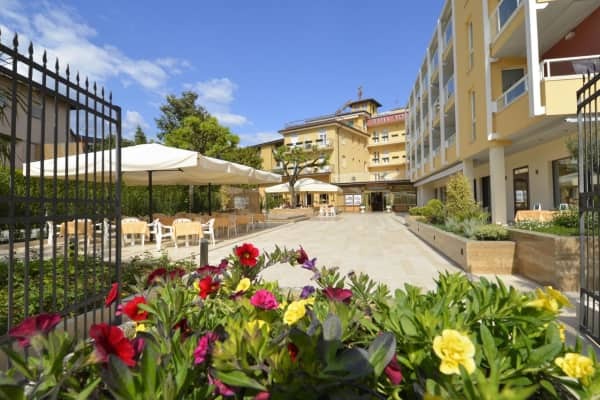 In the afternoon you will be picked up and transferred by coach to Verona accompanied by a tour leader. On arrival to Verona, enjoy a couple of hours of free time to explore and discover this romantic city. Stroll around the beautiful Piazza dei Signori, the ‘Square of Lords’ and admire the magnificent architecture that defines the buildings that surround it. Also visit the Piazza delle Erbe which has remained the vibrant heart of Verona since Roman times. For dinner why not indulge in a wonderful Italian meal in one of the many elegant restaurants that line this majestic square. 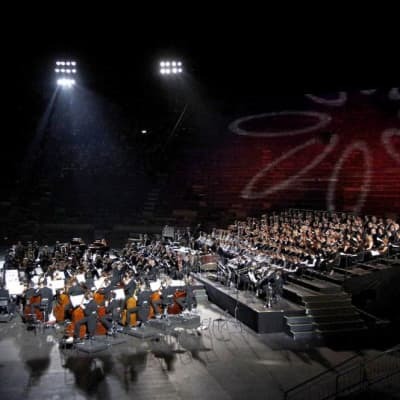 Meet with your tour leader after dinner and then it is time to go to the Arena di Verona to experience the stunning Opera performance of Carmina Burana at approximately 9pm. Choose a seat on the historical stone steps and prepare for a fantastic show. This is a real musical treat featuring songs that will be instantly recognisable but are originally medieval poems brought to life by wonderful vocal performances. After a mesmerising show, you will once again meet with your tour leader and return to your hotel via coach. Witness one of the most impressive Opera performances in the world at the magical Arena di Verona. 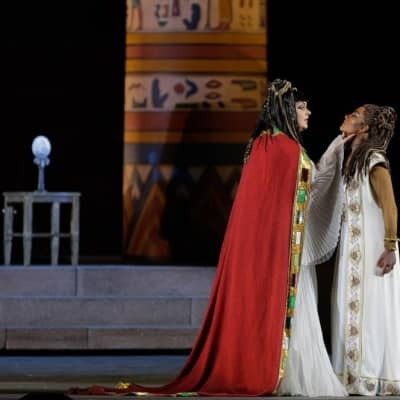 Explore the romantic city of Verona and then let your heart melt during a stunning performance of Aida, a love story set in Egypt. Today it is dress to impress as you depart for Verona the home of Opera and the world renowned Arena di Verona. This first-century amphitheatre boasts superb acoustic properties allowing for spectacular performances without the aid of a single microphone seeing is believing! On arrival in Verona enjoy a couple of hours of free time to explore and discover this romantic city. Stroll around the beautiful Piazza dei Signori the 'Square of Lords' and admire the magnificent architecture that defines the buildings that surround it. Also visit the Piazza delle Erbe which has remained the vibrant heart of Verona since Roman times. For dinner indulge in a wonderful Italian meal in one of the many elegant restaurants that line this majestic square. 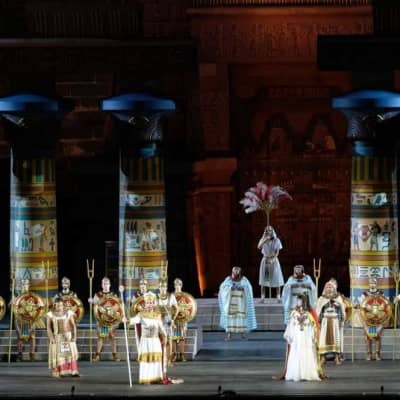 Meet with your tour leader after dinner and then it is time to go to the Arena di Verona to experience the stunning Opera performance of Aida at approximately 9pm. Choose a seat on the historical stone steps and enjoy this 4-act opera by the renowned Giuseppe Verdi which premiered in Cairo in 1871. Set in Egypt the story follows the journey of Aida a Nubian princess who was captured and enslaved by the Egyptians. 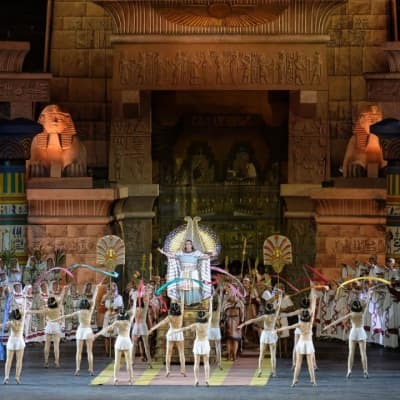 Listen to some of the greatest voices in the world and let your heart melt as you experience this epic love story unfolds between Aida and the Egyptian military commander Radames. 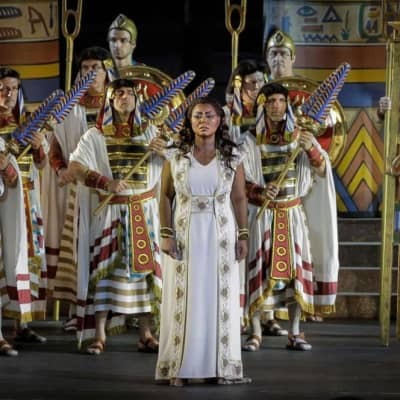 Aida truly is a spectacular show of music and colour that you won't want to miss. After the performance meet with your tour leader and return to your hotel via coach. Be dazzled by an unforgettable night at the opera, whether a connoisseur or a complete novice, you will enjoy a mesmerising performance of La Traviata, listening to some of the greatest voices and musicians in the world. 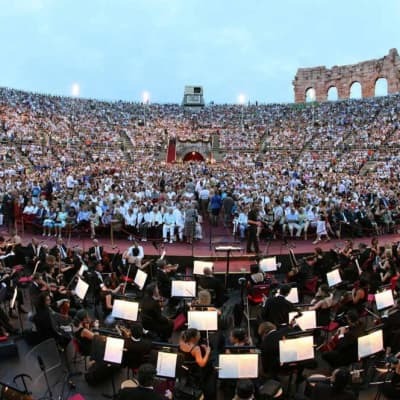 Meet with your tour leader after dinner and then it is time to go to the Arena di Verona to experience the stunning Opera performance of La Traviata at approximately 9pm. Choose a seat on the historical stone steps and enjoy a story of unexpected romance and a heartbreaking reconciliation that comes just that little bit too late. La Traviata is a rollercoaster of emotions that is sure to tug on the audience’s heartstrings and leave many a little misty eyed. 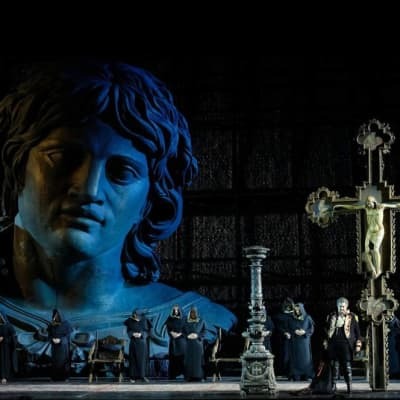 Verdi’s moving music adds so much to the intensity of this show and even those who are new to opera will probably recognise some of the beautiful songs. After a mesmerising performance, you will once again meet with your tour leader and return to your hotel via coach. 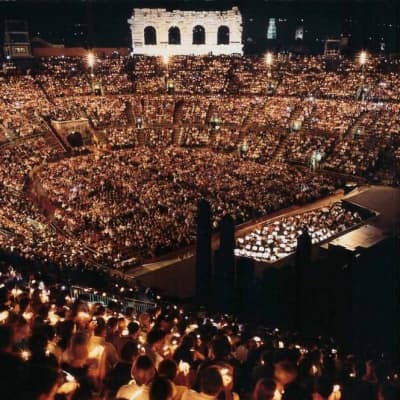 Take the opportunity to enjoy this unique experience, attending an opera in an iconic and historical arena where the history is palpable. Puccini’s brilliant ‘Tosca’ is one of the most frequently performed operas worldwide and when you witness it, it won’t be hard to see why. 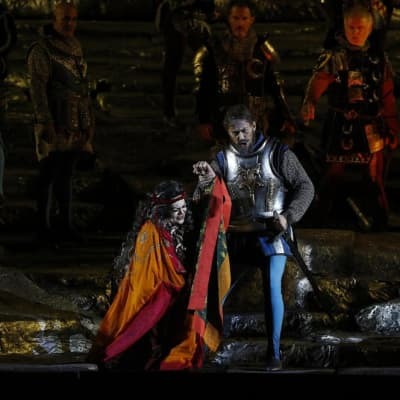 Meet with your tour leader after dinner and then it is time to go to the Arena di Verona to experience the stunning Opera performance of Tosca at approximately 9pm. 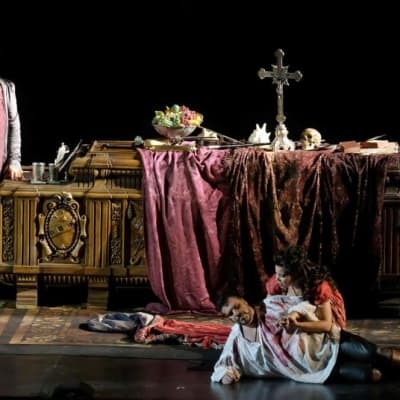 Choose a seat on the historical stone steps and enjoy Puccini’s brilliant ‘Tosca’, set in June 1800, at a time when the Kingdom of Naples’ control over Rome was threatened by Napoleon’s invasion of Italy. 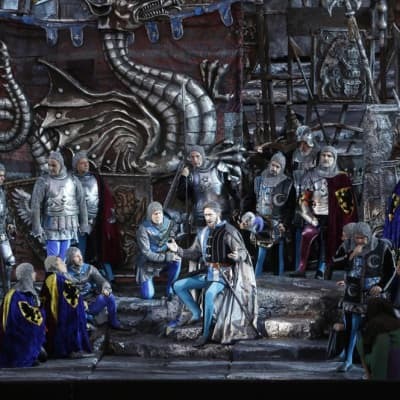 Initially the opera met with mixed reviews from the critics but became an instant favourite with the public and it remains one of the most frequently performed operas worldwide. You will enjoy an evening of drama and some unforgettable performances in this renowned opera. 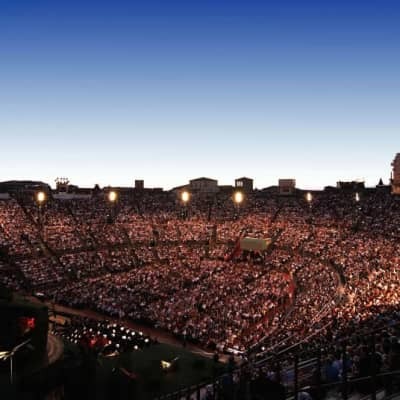 Visit and explore Verona before experiencing the magic of the Verona Opera, as you sit under the stars, listening to some of the greatest voices in the world and enjoying some spectacular performances. 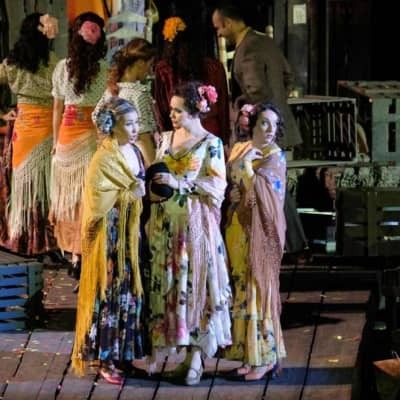 Carmen is one of the most popular and frequently performed operas in the classical canon but to hear it here, in Verona, is an experience like no other. 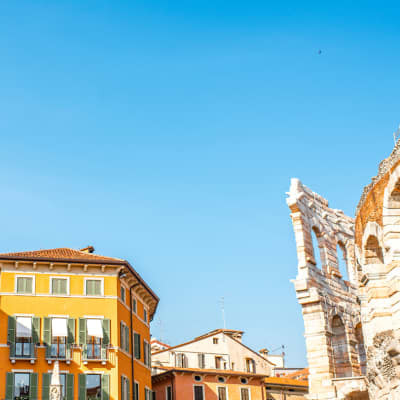 Dress to impress today as you depart for Verona, the home of Opera and the world renowned Arena di Verona. This first-century amphitheatre boasts superb acoustic properties, allowing for spectacular performances without the aid of a single microphone. This is a truly remarkable experience and is recommended to anyone who visits Verona- it is not to be missed! 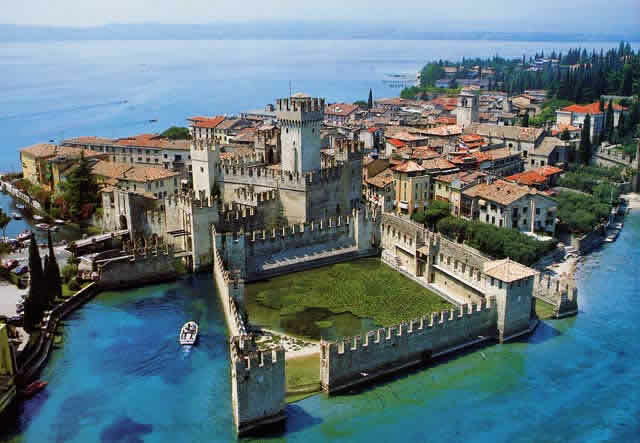 You will be picked up and transferred by coach to Verona from your base in Lake Garda, accompanied by a tour leader. Once you arrive in Verona, you will enjoy a few hours of simply exploring this beautiful and unique city. Take a stroll around the beautiful Piazza dei Signori and admire the beautiful architecture that fills the area. You have time then, to indulge in a wonderful Italian meal in one of the many great restaurants in the surrounding square. 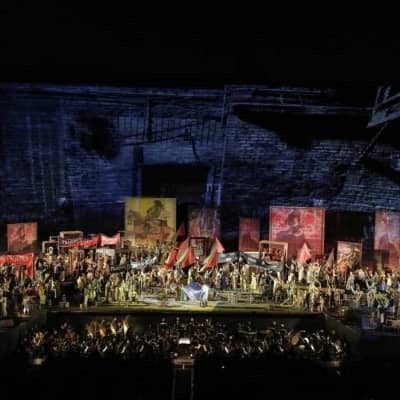 After your dinner, you can meet with your tour leader and make your way to the Arena di Verona to experience the stunning Opera performance of Carmen which will begin at approximately 9pm. Choose a seat on the historical stone steps and enjoy one of the most frequently performed operas in the classical canon. And for good reason! This thrilling tale is set in southern Spain and tells the story of the downfall of Don José, a naive soldier who is seduced by the wiles of the fiery gypsy Carmen. Enjoy listening to some of the greatest voices in the world tell this wonderful story in this unique and truly atmospheric setting. After the performance, meet with your tour leader and return to your hotel via coach. Enjoy an incredible night at the opera at one of the most iconic and historic stages in the world. Il Trovatore is a tale of love, jealousy and retribution and this operatic masterpiece is sure to impress. 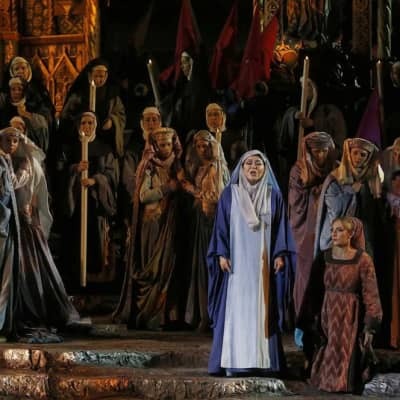 Meet with your tour leader after dinner and then it is time to go to the Arena di Verona to experience the stunning Opera performance of Il Trovatore at approximately 9pm. Choose a seat on the historical stone steps and enjoy a story of unexpected romance and a heartbreaking reconciliation that comes just that little bit too late. 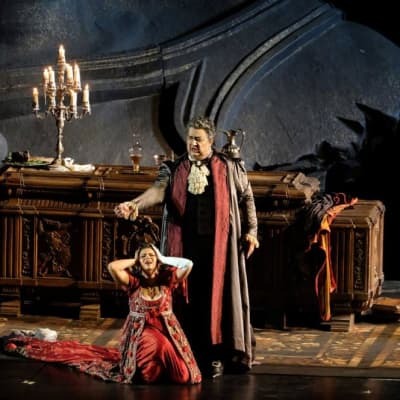 Il Trovatore is a tale of love, jealousy and retribution and is an operatic masterpiece with music that simply bursts with excitement and tension. It is a story of revenge, filled with twists and turns and plenty of drama - the perfect recipe for an out-of-this-world performance in this iconic location. Audiences can rest assured that they will be enthralled as the story unfolds and the dramatic music enchants. Make your way to your reserved seat and enjoy a real musical treat featuring songs that will be instantly recognisable but are originally medieval poems brought to life by wonderful vocal performances. Take your premium, reserved seat and enjoy one of the most frequently performed operas in the classical canon. And for good reason! This thrilling tale is set in southern Spain and tells the story of the downfall of Don José a naive soldier who is seduced by the wiles of the fiery gypsy Carmen. 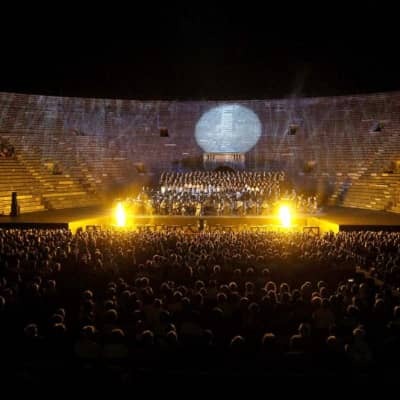 Witness one of the most impressive Opera performances in the world at the magical Arena di Verona the historical 1st-century amphitheatre in the heart of the city. Explore this romantic area and then let your heart melt during a stunning performance of Aida, a love story set in Egypt and framed by the exclusive historical 1913 stage design. Make your way to your reserved seat and enjoy this 4-act opera by the renowned Giuseppe Verdi which premiered in Cairo in 1871. Set in Egypt the story follows the journey of Aida a Nubian princess who was captured and enslaved by the Egyptians. Listen to some of the greatest voices in the world and let your heart melt as you experience this epic love story unfolds between Aida and the Egyptian military commander Radames. Take your premium, reserved seat and enjoy a story of unexpected romance and a heartbreaking reconciliation that comes just that little bit too late. La Traviata is a rollercoaster of emotions that is sure to tug on the audience’s heartstrings and leave many a little misty eyed. 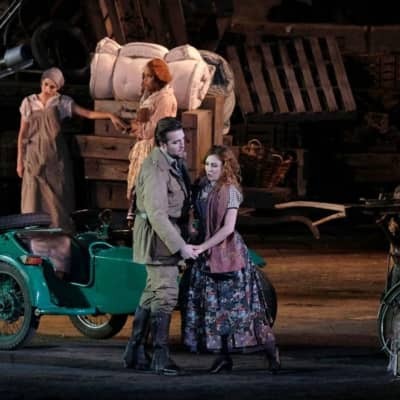 Verdi’s moving music adds so much to the intensity of this show and even those who are new to opera will probably recognise some of the beautiful songs. Make your way to your reserved seat and enjoy Puccini’s brilliant ‘Tosca’, set in June 1800, at a time when the Kingdom of Naples’ control over Rome was threatened by Napoleon’s invasion of Italy. 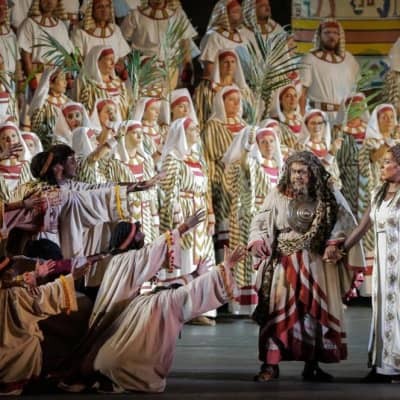 Initially the opera met with mixed reviews from the critics but became an instant favourite with the public and it remains one of the most frequently performed operas worldwide. You will enjoy an evening of drama and some unforgettable performances in this renowned opera. Make your way to your reserved seat and enjoy a story of unexpected romance and a heartbreaking reconciliation that comes just that little bit too late. 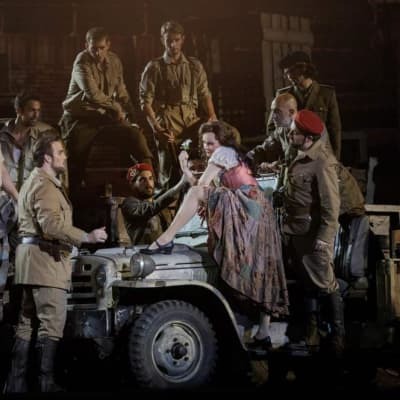 Il Trovatore is a tale of love, jealousy and retribution and is an operatic masterpiece with music that simply bursts with excitement and tension. It is a story of revenge, filled with twists and turns and plenty of drama - the perfect recipe for an out-of-this-world performance in this iconic location. Audiences can rest assured that they will be enthralled as the story unfolds and the dramatic music enchants.